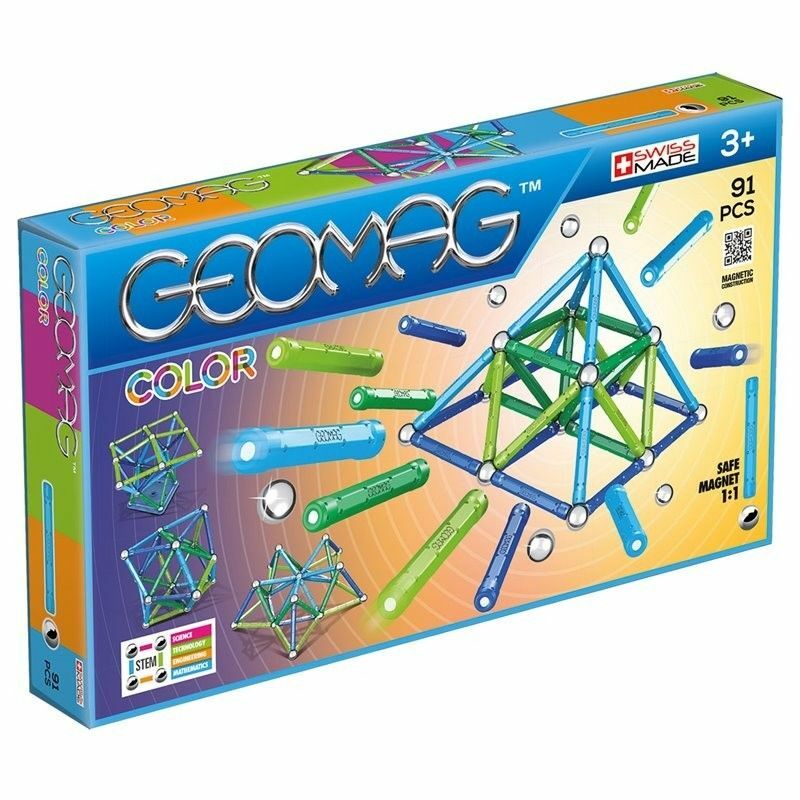 The Geomag Colour range has been completely updated: colours, box design and Number of pieces have all changed. 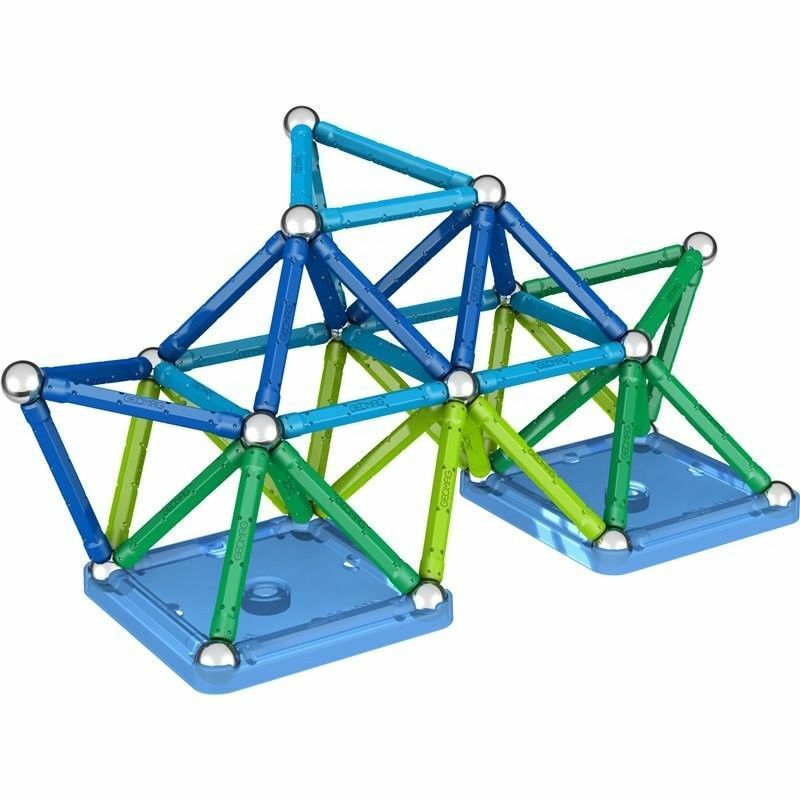 The colourful base platforms make the structures more stable. 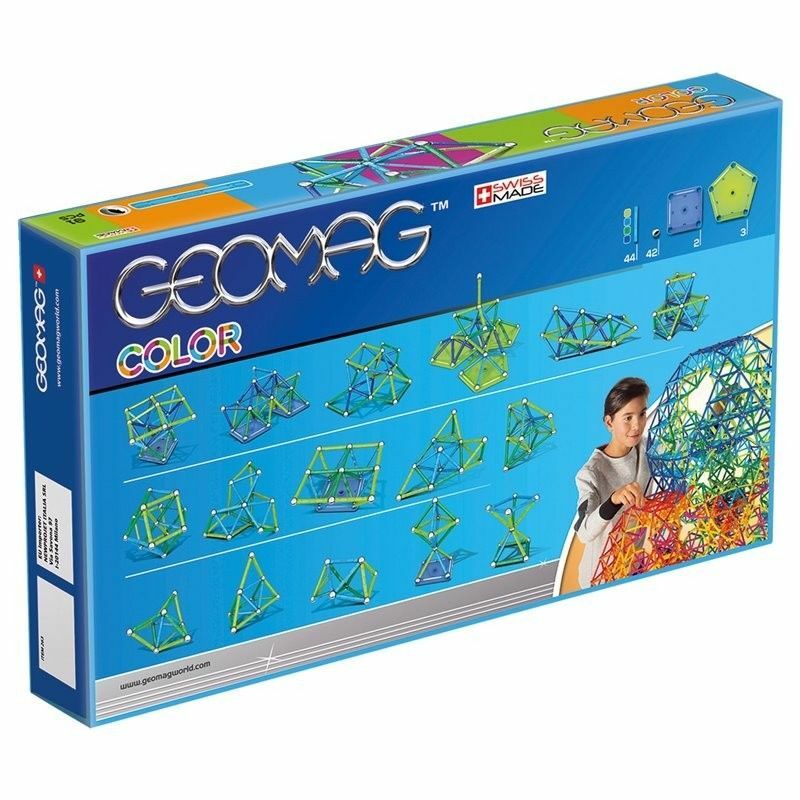 Geomag magnetic kits are the perfect way to express your creativity. There is virtually no limit to the creations that you can make. All you need is a kit and an active mind. Magnetic toys are a wonderful way to play while exploring science. Geomag opens the door for all children to explore science, creativity, and engineering, all before they encounter it in school. Our products help children of all ages develop and train their minds, imagination and curiosity through the science of magnetic construction. Not suitable for children under three years. Read carefully and retain. Contains: small parts that may be swallowed and spheres that may represent a choking hazard.